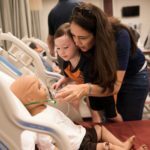 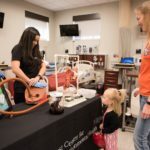 Texas Tech University Health Sciences Center El Paso celebrated international Healthcare Simulation Week recently by welcoming the community to the Gayle Greve Hunt School of Nursing’s Regional Simulation and Training Center. 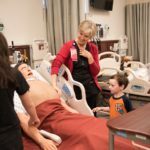 The center is home to lifelike manikins that health care professionals use for realistic training. 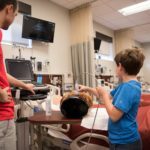 These high-tech devices simulate breathing, sweating, heart palpitations and more, allowing for ultra-realistic, hands-on medical interactions. 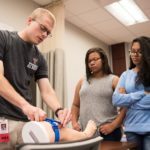 As part of Simulation Week, four teams participated in a simulation competition that included law enforcement personnel, medical residents, and physicians. 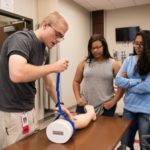 Each team was given a scenario involving an ill patient. 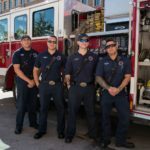 Teams were required to stabilize the patient as complications arose. 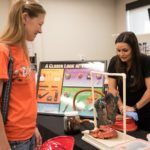 On the final day of Simulation Week, the school of nursing hosted an open-house event for the community. 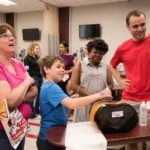 TTUHSC El Paso health care experts gathered on the first floor of the school to teach community members young and old hands-only CPR and demonstrate techniques to stop life-threatening bleeding. 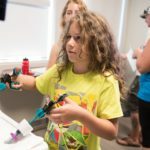 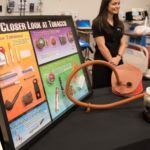 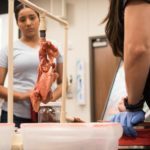 There also were augmented reality medical-education demonstrations, simulated poison-control calls, smoking-risk demonstrations with pig lungs and more. 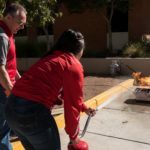 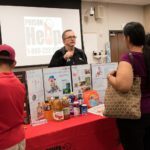 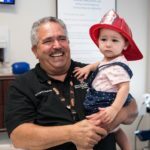 Outside the school of nursing, the El Paso Fire Department and other Simulation Week participants offered a number of fun and educational activities for El Paso residents. 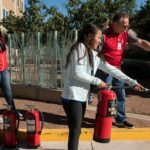 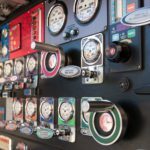 They included interior tours of ambulances, and fire extinguisher training with the opportunity to put out a live fire. 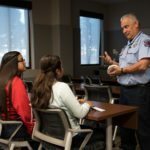 The Fire Department also offered instruction on smoke detector use and installation, and scheduled home smoke detector inspections.